Peasants used to make salami from pigs. It was their reachness. They in fact also eat with this animal. From this tradition was born “cremonese salumiera industry”: it grew an international notoriety, with trades of quality. 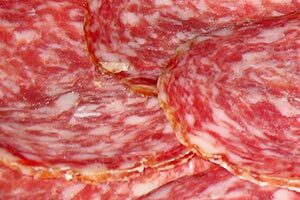 Traditional cremonese Salami is soft with garlic and it is very famous. The presence of many producers, dedicated to the transformation of pork and beef in Padana Plane, is due to the seamless integration between the dairy industry, the cultivation of cereals (especially corn) that is the farming of pigs: cereals and grasslands provide the food for pigs and dairy cows, the whey of byproduct becomes very good food for pigs, manure and slurry shall maintain and improve the fertility of the land, with corrections due to the problem of the nitrates, and the craftsmen before and industries then transform the milk and meat.In March 1995 was born the Consorzio for the Protection of Cremona salami with the main of enhancing the production of Salame, the pride of cremonese table. Consorzio has started successfully, the procedure for obtaining the PGI (Protected Geographical Indication) and is in the final stage of the European recognition. Zibello Culatello is a salami of protected origin typical denomination of Parma province. 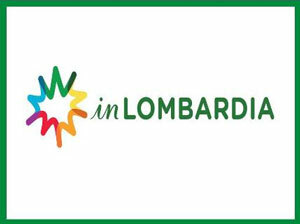 It is also cataloged among the Cribs of Emilia Romagna Slow Food. It is produced from the pig's thigh. 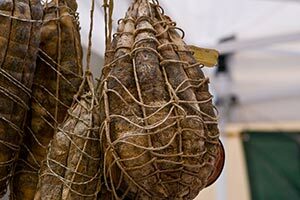 Zibello culatello Consortium has established that the processing can take place only in a specific and circumscribed region and exclusively in the period between October and February, when low and wrapped by fog and cold. It is in this period that the part of meat obtained from the thigh of adult pigs are reared in traditional methods, is degreased, boned, separated by the bows and trimmed by hand, so as to give it the characteristic shape of “pear”.These operations will follow and then, after about ten days, the salting and the so-called investiture, that is to say the bagging of the salami in the bladder of the pig and the tie with the twine that, after the maturing, it must be a large mesh and irregular.The seasoning in the cellar Culatello arrives with winter and stops to summer heat, to arrive on our plates the next winter in the midst of its most original quality of taste. The aging period, and from a minimum of 10 months for the pieces smaller than (at least 3 kg) up to an average of 14 months for all the pieces. The annual production is about 50,000 pieces of Culatello di Zibello. 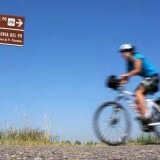 Zibello is about 30 Km from Luna Residence Hotel. Parmigiano Reggiano and Grana Padano cheese are very similar, whose production technology is almost identical. 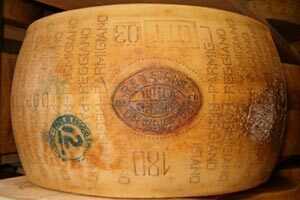 The differences in aging and in the supply of cows denote a higher quality of Parmigiano Reggiano with respect to Grana Padano. Parmigiano Reggiano cheese is produced by a single working day, Grana Padano can be produced with two processes. Given that the milk comes from two daily milkings (evening and morning), Grana Padano can be produced by law with the milk of a single milking even if this, as a rule, does not take place. Both cheeses are valuable and very good, and typical of the cuisine of the lower Po valley.Grana Padano is a DOP cheese (a Protected Designation of Origin) that must be produced, according to the specification, in a well defined area, from raw milk from cows with controlled power supply, and only from dairies authorized, in traditional boilers in the copper double bottom. Cremona province is one of the largest producers of Grana Padano: every cheese factory in the province provides the forms that are sold at their shop or organised distribution. 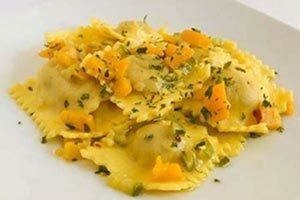 Pumpkin tortelli is a Mantua, Cremona and Ferrara tradition. 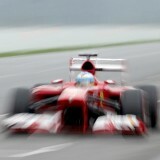 They were created in 1000, in Ferrara and Mantua, proposed to courts of Este and Gonzaga. Traditional sauce (melted butter and cheese) is sometimes flavored with a few leaves of sage. 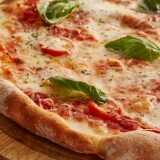 An excellent alternative is a light sauce made of tomatoes, cook as little as possible and the addition of dried chilli. You can also put a little bit of wine. Pumpkin “tortelli” are traditional for Christmas Eve. Pumpkin tortelli consist in casings of browse to the egg, usually rectangular in size closed about 60 x 35 mm, stuffed with a mixture of pumpkin boiled, macaroons, mustard, grana cheese and nutmeg.It is inserted between the agri-food traditional italian products, it is a symbol of Mantuan cuisine, but it is diffuse, with a few variations, also in the neighboring provinces of Parma, Reggio nell'Emilia, Piacenza and Cremona. The salient feature of this dish is the combination of the sweet taste of the pumpkin with the salty parmesan cheese, with the bitter-sweet of macaroons and the hotness of mustard. In Casalmaggiore there is, from 1st to 6th November, the “better things” of casalasca gastronomic tradition (as it is defined this area of the cremonese) with the tasting of “blisgon”, tortello pumpkin, and cotechino, the real protagonists of the local cuisine. Both Casalmaggiore cotechino and “blisgon” had a minicipal designatio, called DE.CO., in 2010. Cotechino is very common in cremonese, Mantua and casalasco gastronomy winter. This sausage is prepared with pork meat just slaughtered. The pig breeding in these areas has always been practiced and the pork meat processing has achieved excellent results. 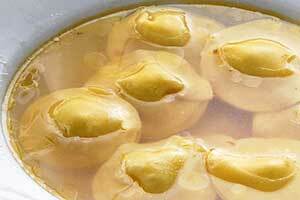 Very famous in Cremona is “lesso”, boiled meat made of beef or hen, eaten with famous mostarda. Salt and sweet is melted, that seems to remember ancient roman kitchen. It is the city of salami and meet shops, Cremona puts to the first place just the meats, after “minestre”, naturally. Cremonese “lesso” is more good with legs of chicken, bones, vegetable, hen with mortadella, bread meat and cheese. 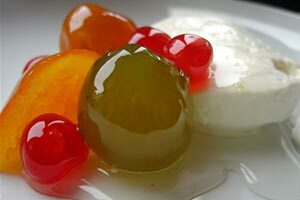 It is eaten together to Mostarda, typical product of Cremona and its territory.Cremonese Mostarda has the same age of Torrone and it is made with the fruits.It is made of candied fruit immersed in glucose syrup flavored with mustard. The fruits most commonly used, whole or in pieces, are cherries, pears, the tangerines, figs, apricots, peaches, melons, plums, cedar, the pumpkin and watermelon. The origin of Cremona Mostarda is, as the name says, in preparations of grape must (mustum ardens) that, cooked and concentrated, was consumed in its natural state or with small amounts of mustard. Marubini are a type of stuffed pasta recognized as traditional agricultural food product for the Lombardy region. Typical dish of Cremonese Piacentina plain, with a filling of brazed, pistum (mixture of salami from Cremona), grana padano, nutmeg that are cooked and served in the three broths using beef, pork and chicken. They are usually eaten in north-east plain piacentina. In the rest of Piacenza and Parma province there is a food called anolini that is, thanks to the Ministry of Agriculture, Food and Forestry Policies, on a proposal from the Region of Emilia-Romagna , one of traditional agri-foodstuffs typical italian of Piacenza province. Marubino in broth and without doubt the most classic of good food. Its origin is about the middle of ‘400: The first chef was Platina. Marubini are full of: cow meat, salami, Grana padano, and soup. The big one is “cremasco tortello”, very similar to casalasco one, but full with more ingredients. Other cremasche specialities are: full of chesse pasta, grana padano, sultas, mostaccino, candied citron, peppermints, nutmeg, lemon, egg marsala, which has its moment of glory in “Tortellata cremasca” that takes place in Crema in the middle of August. 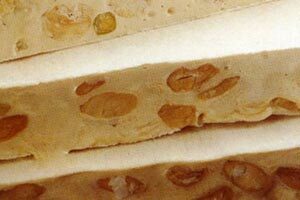 Some typical cakes of Cremona earth are: Torrone, made of sugar, honey and almonds, created in 1441 for the wedding of White woman Maria Visconti and Francisco Strains. 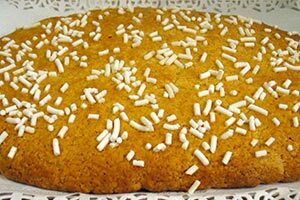 Cremona has its “rough cake” called “sbrisolona”, similar to Mantovana cake; and also “Bertolina”.Sbrisolona is made of sand bank of maize and grain pasted with lard, rind of lemon and teaspoon of liqueur. Bertolina is a homemade cake, anciently produced with bread, hour “fragolina grape”.“Bambunèen de la nòona” are simplest cookies that lard renders soft and become better with “zabaglione”. Other good cakes are: the chocolate one in Cremona, “Soresina Bussolano”, a soft “ring”. Its origin is to the wedding between White woman Maria Visconti and Francisco Sforza. It was organized a banquet for 6000 persons. Pastries of Cremona prepared a cake made of sugar and almonds, giving it the name of the Torrazzo for its shape, symbol of the city. 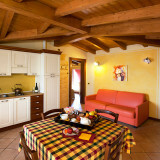 Thanks to this, Cremona became “the mother” of Torrone, used specially in Winter. In spite of torrone is the characteristic dessert of Cremona, raw materials that compose it are not captured on the spot, but are imported from other places, with the exception of small supply of honey and eggs.Torrone, although being prepared according to the recipes, and with the classic ingredients, has been, from time to time, enriched with flavorings, to respond to the tastes of different ages: vanilla, mint, cedar, orange, rose, clove, nutmeg, cinnamon, coffee chocolate and honey. The origin is uncertain, perhaps from ancient Egypt. With its golden color and a rich pulp, has a homeland of election: Casteldidone, in Cremona province. Melon (Cucumis melo) is a climbing plant of the Cucurbitaceae family. The term melon indicates both the fruit that the plant itself, depending on the contexts in which it is used. Melon fruit is voluminous, of oval or round and on the skin are visible divisions of "slices". The skin is almost smooth or just rough, the color can vary from a pale yellow to shades of green. The flesh varies from white to orange and is juicy and very scented when it reaches maturation.Central cavity, fibrous, contains many seeds. The nutritive melon value derives from the richness of sugars, vitamins and mineral salts. It is equipped with refreshing properties and adjuvants in the digestive processes. 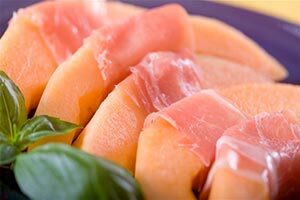 Famous is the combined with the melon with meats, a stalwart on Cremonese tradition. Romans (Virgil) indicated with this name wild vine. The origin of the word is back to old Ligurian populations located in regions before the emergence of Etruscans, it means rock. They grew in woods, climbing over the trees. They had smaller berries of vines under cultivation and were formed by male and female. Collected flowers were male and used to enrich wines made from grapes grown correcting the aroma and also used as medicinal plants. In reggiane cellars each farmstead had a different lambrusco. Today the term lambrusco is on the National Register of varieties of screws of ben 10 vines all black berry. Of these, 8 are cultivated for the production of wines with controlled origin.Very important is Viadanese and Mantua Lambrusco. 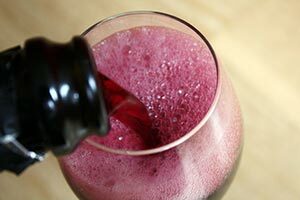 Lambrusco is typical emilian product, very rich in fats and aromas. It is well eaten with food robust as pork sausage, lamb, and great to taste with the typical cheeses of the area: grana padano and parmigiano reggiano. 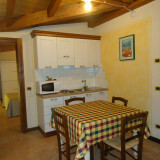 It is used to prepare food as: zampone, cotechino, Lambrusco risotto or pasta, typical of emiliana cooking. It is also used for cocktails, with alcool and fruit. It is also used as a medicine, in “vinoterapia” and to keep skin in wellness. To book your stay at Luna Residence click on the button check avaibility for the dates you have choosen. 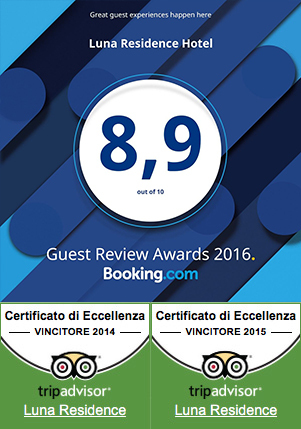 You can book directly from check avaibility by entering your complete generality: e-mail address, Mobile Phone and credit card details complete with expiration date. If you don’t want to proceed automatically, please send us a request in contact section, we will answer you as soon as possible. 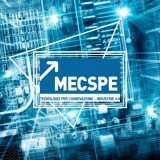 Il futuro è tecnologia MECSPE Parma innovare per vincere Per Visitatori ed Espositori il tuo break di una importante esperienza pr..
CREMONA CIRCUIT SAN MARTINO DEL LAGO (CREMONA) A very important day next Saturday, February 23rd 2019: at Cremona Circuit there wi..
Parma April 9th – 10th – 11th 2019 International Pizza Championship 2019 Parma the City of Gastronomy and of Food Made.. 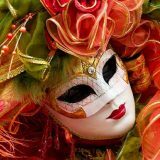 YOUR CARNIVAL AT CASALMAGGIORE AMONG THREE PROVINCES CREMONA MANTUA AND PARMA It’s Carnival time! The big party is almost up..
VENERDÌ 28 GIUGNO 2019 ESEDRA DI PALAZZO TE ORE 21:15 MANTOVA CONCERTO DI ENNIO MORRICONE Ennio Morricone a Mantova in concerto ne..
FIERE DI BERGAMO FROM 15th TO 17th FEBBUARY FOOD & AGRICULTURE The food is one of the great protagonists, declined in a thousa..